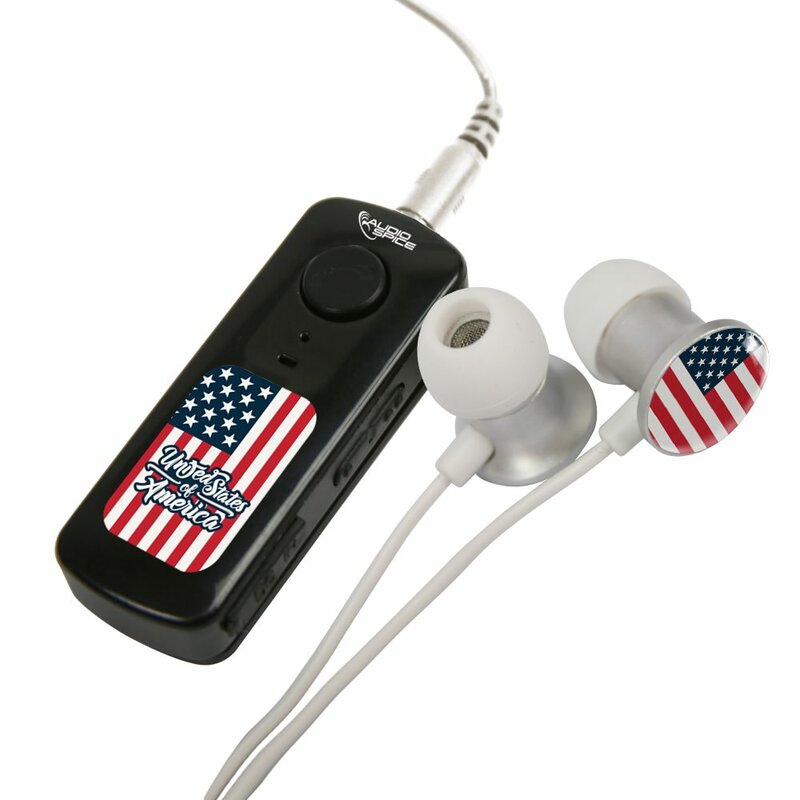 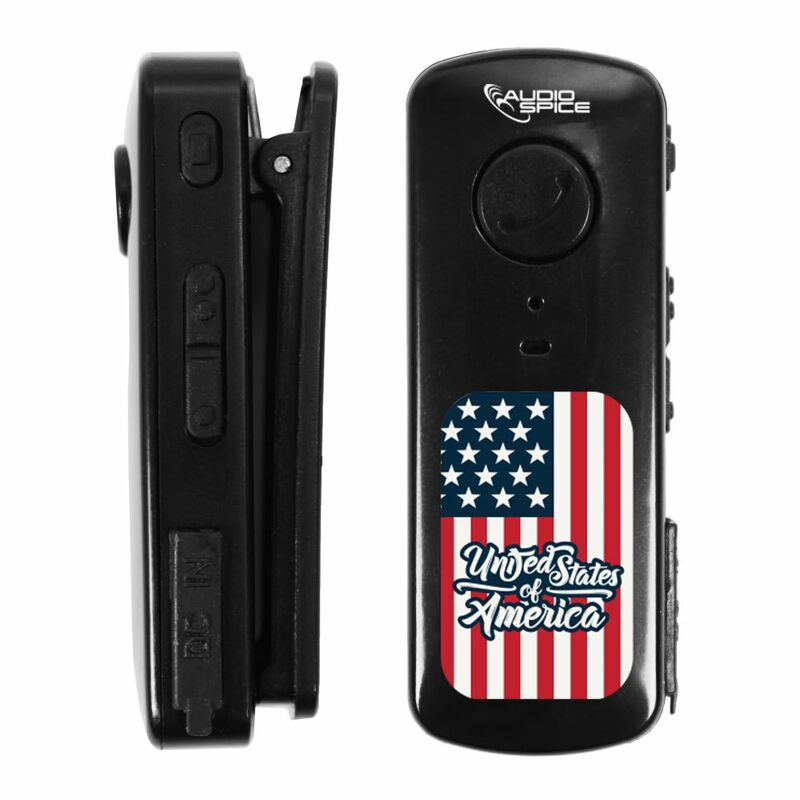 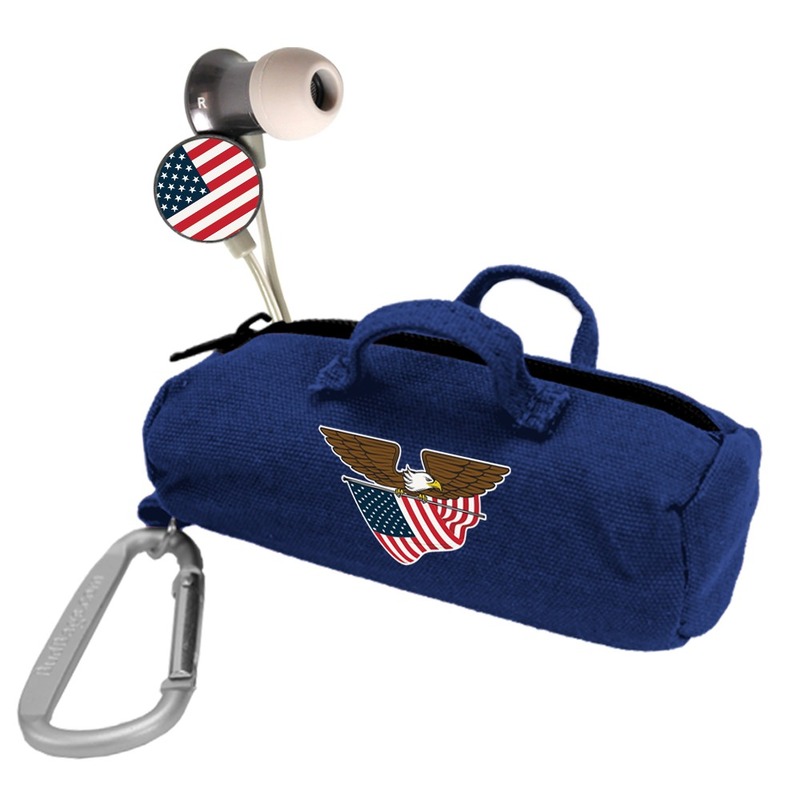 The United States Flag Collection HR-100 Bluetooth® Receiver with BudBag & Earbuds from AudioSpice will turn nearly any wired device or stereo into a Bluetooth® product. 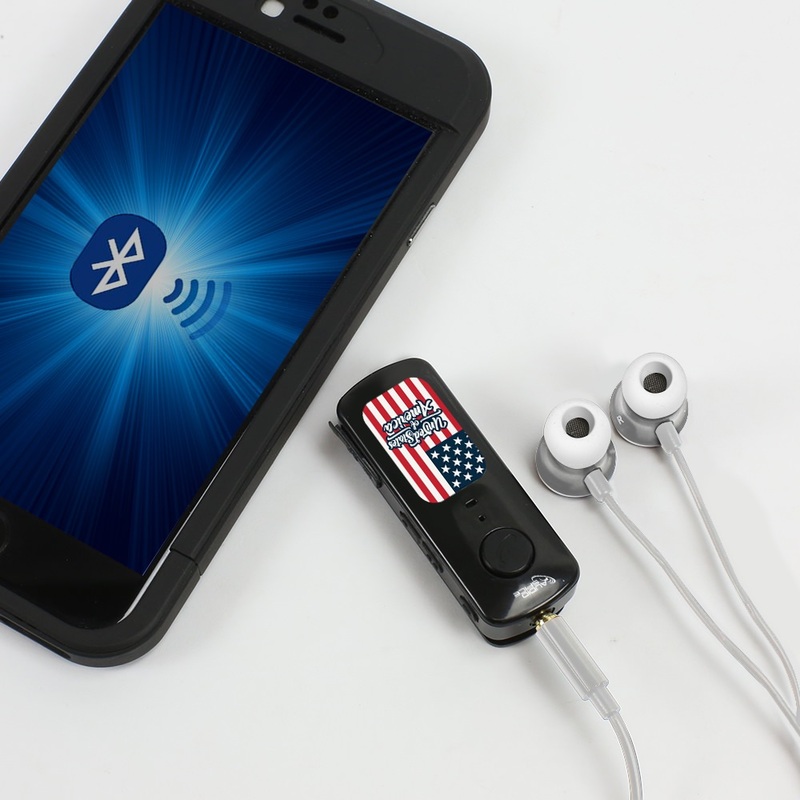 The Bluetooth® Receiver comes with a pair of Scorch Earbuds and a BudBag and sports the United States Flag. 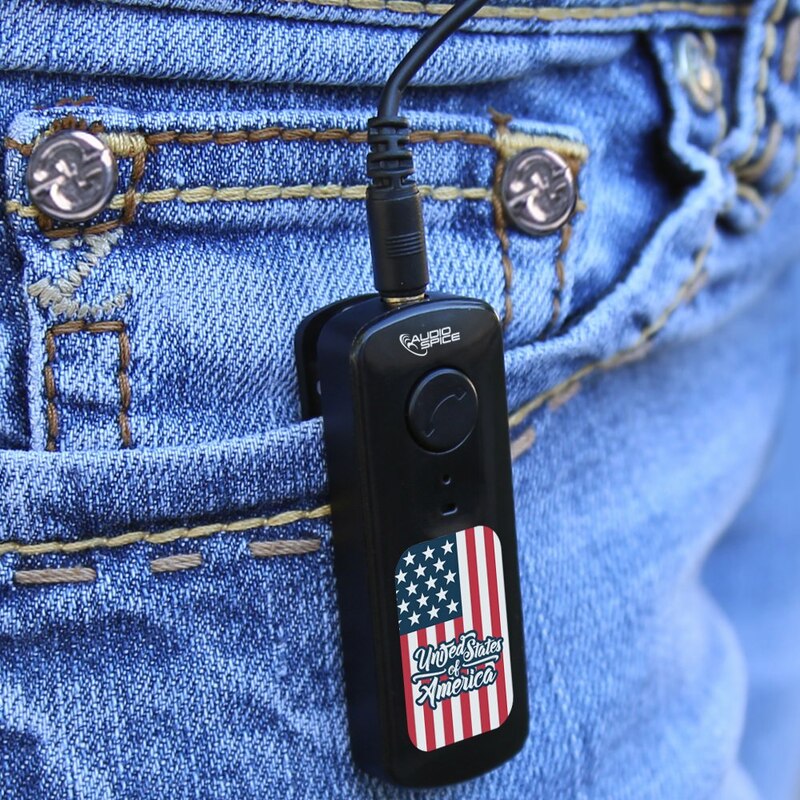 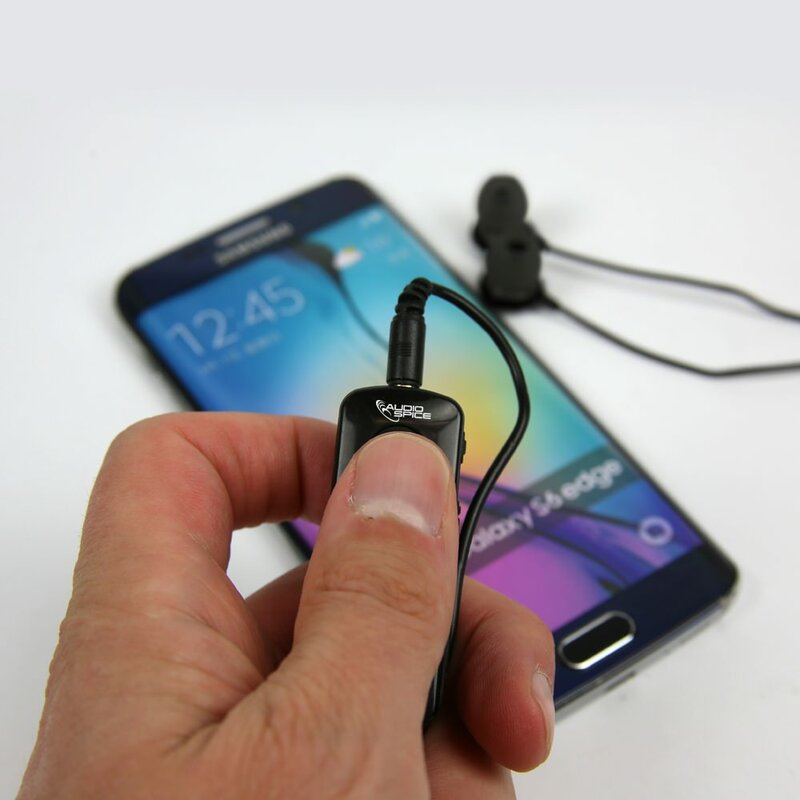 The Receiver features a clip for convenient on-the-go use. 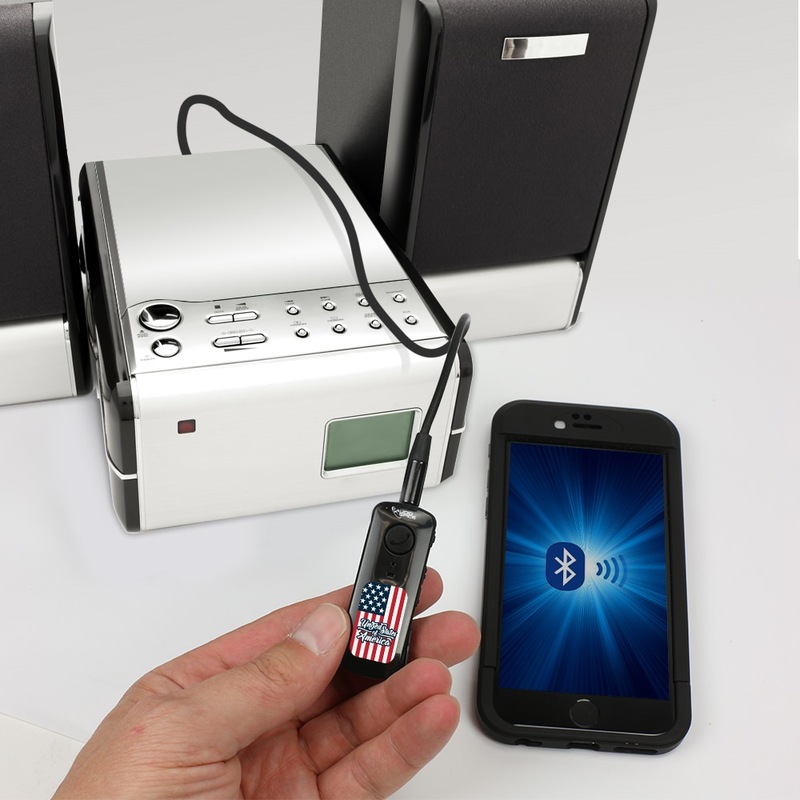 Simply open up the Bluetooth® menu on your device and connect to “HR-100” to use the Bluetooth® Receiver.